There is perhaps no topic more hotly debated in the financial world than cryptocurrency. Enthusiasts herald crypto as a revolution that will define the future of financial products, while skeptics view it as nothing more than a bubble that has encouraged investor fraud and facilitated illegal transactions on the “dark web.” Undoubtedly, the nascent stages of cryptocurrency development has been fraught with challenges, forcing lawmakers who might have previously dismissed it to sit up and take notice. Cryptocurrency exchanges are largely unregulated, which certainly has contributed to the systemic weaknesses that have allowed fraud to occur. While crypto-currency exchanges have attempted to correct these weaknesses by self regulating, many still vocally support the passage of some measure of government regulation. Whatever your view on regulation in the blockchain space, some have predicted that we will see a wave of legislative and regulatory action in 2018, making it a pivotal year for the future of cryptocurrency and other blockchain applications. Carefully crafted regulation that formally acknowledges crypto’s validity while imposing basic consumer protections could play an important role in establishing crypto’s respectability, allowing for more widespread adoption in global financial markets. The availability of crypto-based investment instruments, such as options and futures, on exchanges regulated by the U.S. Securities and Exchange Commission (“SEC”) is one such path to respectability that is currently being evaluated by the SEC. On December 4, 2017, the NYSE Arca Equities exchange, which bills itself as “the top U.S. exchange for the listing and trading of exchange-traded funds (ETFs),” filed a proposed rules change with the SEC (82 FR 61100) that would permit the NYSE to list and trade shares of Bitcoin futures ETFs. 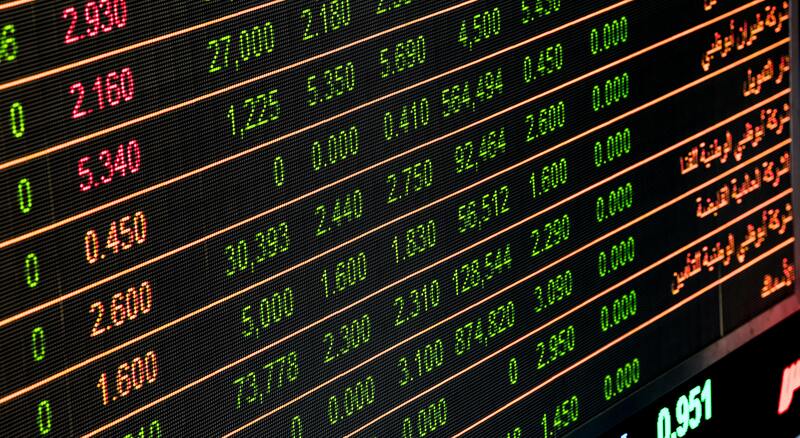 An ETF is essentially a marketable security that individual investors can buy, similar to common stock on a stock exchange, but that tracks an index, commodity, or bond. The NYSE proposal would allow it to list an ETF that tracks the price of bitcoin futures contracts. A regulated bitcoin ETF could increase liquidity for cryptocurrency investors while helping to moderate the wild west volatility that has undermined unregulated exchanges. Cryptocurrency investment, it seemed, had run into a significant roadblock. Well thanks for the note Chris, but everyone knows that the government doesn’t just change their position based on the thoughtful input of industry participants. Right? … Or do they? In a surprising turn, on March 23, 2018, the SEC published a notice in the Federal Register (83 FR 13537) announcing that it is instituting formal proceedings pursuant to to determine whether the proposed rule change should be approved or disapproved, and requesting public comment. The Notice noted that such proceedings are appropriate “in view of the legal and policy issues raised by the proposed rule change.” While this notice does not necessarily indicate the SEC will approve the proposal, at the very least it indicates a willingness to re-examine the issue. The initial comment period closed on April 19, 2018, and the SEC is now accepting rebuttal comments until May 3, 2018. Despite the potential importance of the SEC’s final decision on this proposal, only eight comments have been submitted. Most of the comments highlight the risks of an unregulated ETF market, pointing to the recent volatility of cryptocurrency prices and suggesting that bitcoin ETF exchanges could easily be manipulated. Whatever your view on the issue, there is still time to weight in by submitting a rebuttal comment! If you have an opinion, then you should participate in the process. It is really easy to do: comments can be submitted online using the SEC’s comment form at http://www.sec.gov/rules/sro.shtml, or by email to rule-comments@sec.gov. All comments should reference File Number SR-NYSEArca-2017-139.